PLUS Skateboarding. Photo by Nick Hagen. Holly Days in downtown Farmington. Photo by Nick Hagen. The Vines in downtown Farmington. Photo by Nick Hagen. Tre Sorelle in downtown Farmington. Photo by Nick Hagen. The Cheese Lady. Photo by Nick Hagen. Hewitt's Pro Shop. Photo by Nick Hagen. Clothes Encounters. Photo by Nick Hagen. So if you’re scrambling to find last-minute Hanukkah gifts, or wrapping up your Christmas shopping, consider parking your car at the Downtown Farmington Center and exploring these fun options on foot. For those who might enjoy a Mitten-State-take on a European culinary tradition, you can’t go wrong with The Cheese Lady. 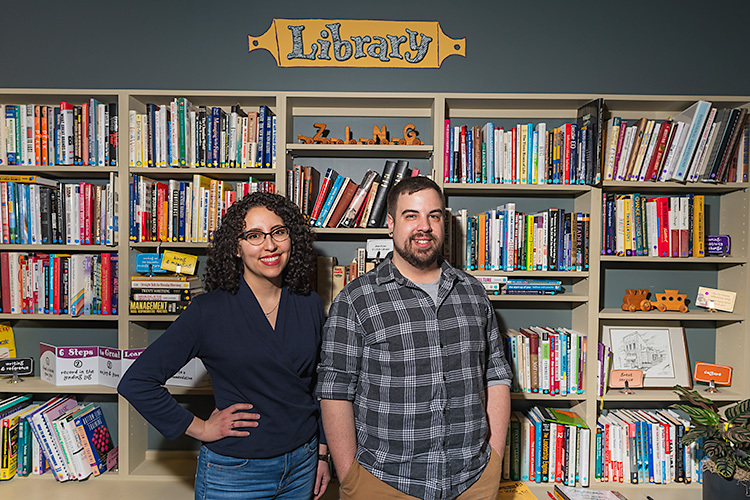 Joe and Kendra Mantey opened Farmington’s Cheese Lady store (there are six in Michigan) in 2014. 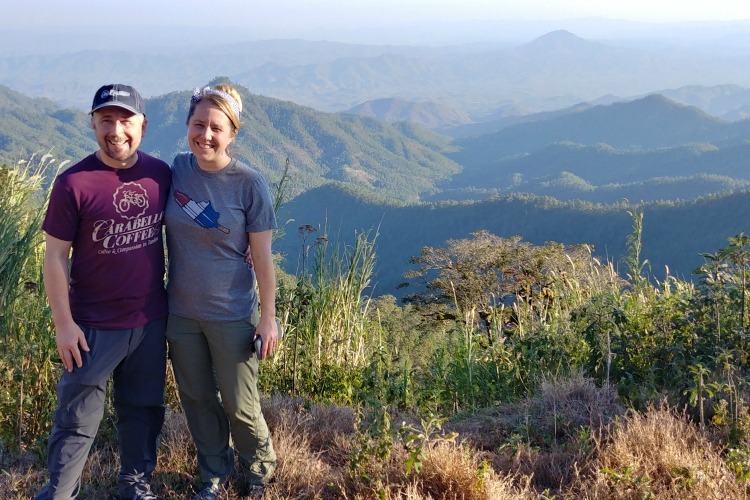 “Before that, we’d been traveling to Europe for business reasons, and we discovered the culture of these specialty cheese stores,” says Joe Mantey. Kendra Mantey, The Cheese Lady. Photo by Nick Hagen. 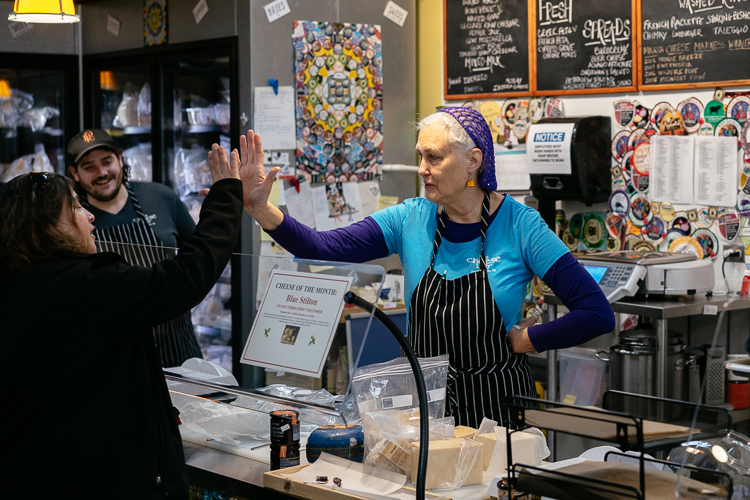 Like those stores, The Cheese Lady carries a wide variety of cheeses – approximately 150 – and you can take your time and taste each one that interests you before making a decision. In addition, wines, Michigan craft beers, jams, chutneys, charcuterie, olives, baguettes and more are on offer, as are kitchen items like utensils, cutting boards, towels, and tablecloths. There’s even a modest space used to display the work of local artists. 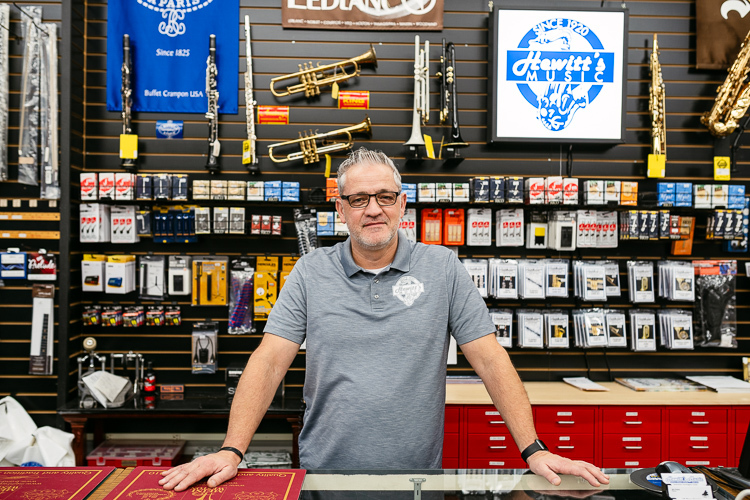 Now just two years shy of reaching the century mark, Hewitt’s is one of the most established names in selling and renting instruments, in addition to offering lessons, repair services, sheet music, and instrument-related supplies. Phil Hewitt. Photo by Nick Hagen. The original store – technically born in current owner/manager Phil Hewitt’s great-great-grandfather’s basement – opened in Detroit to serve the needs of local musicians. Hewitt’s then made its home in Dearborn for 60 years; and 5 years ago, it relocated in downtown Farmington. Many of us, as kids, play “store” with our siblings, but the Tre Sorelle boutique – which means “three sisters” in Italian – proves that sometimes, childhood imaginings can give birth to a real-world enterprise. 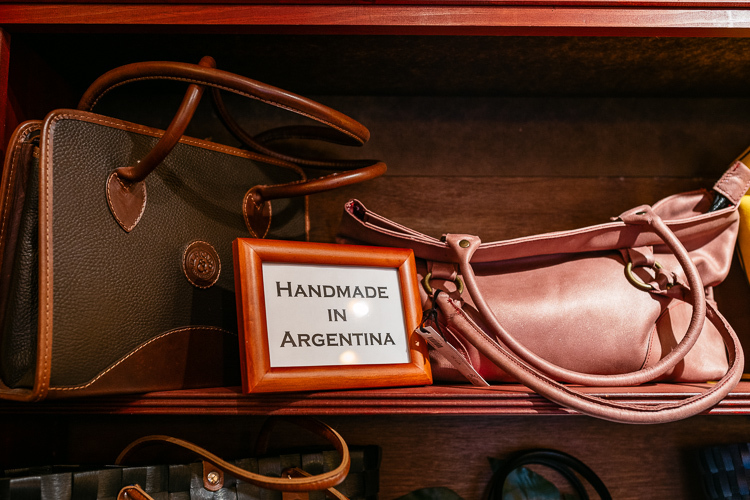 Founded 12 years ago by three sisters (Andrea Yeo, Patty Williams, and Bella Lawson) who, thanks to their ambassador father, were born in Argentina and lived in and visited different parts of the world as children, Tre Sorelle offers unusual jewelry, apparel, and gifts from around the globe. Tre Sorelle. Photo by Nick Hagen. 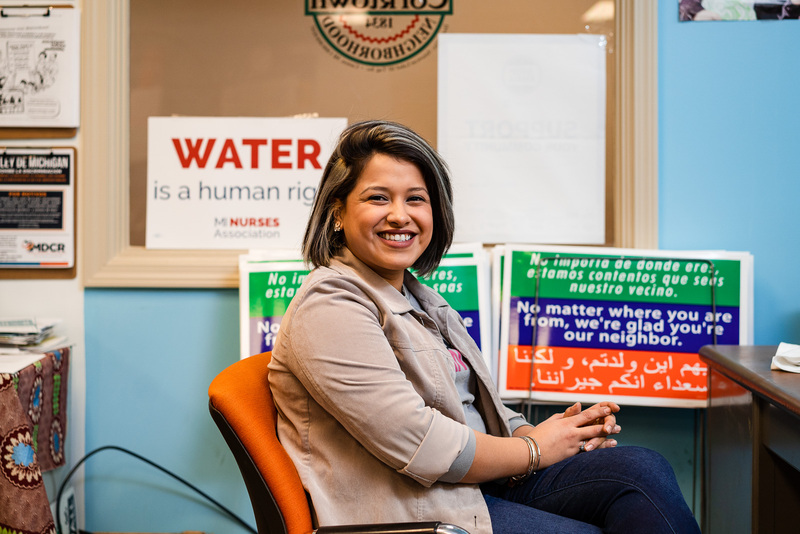 The small store is tucked away at the back of a building it shares with Williams’ husband, Dr. Joe Williams, so it’s a bit of a local secret with a loyal customer base. And, because Williams travels a good deal for work, she curates a good deal of the store’s stock. So whether you’re specifically looking for an off-the-beaten-path scarf or bag, or just looking to be surprised, Tre Sorelle is always worth a visit. 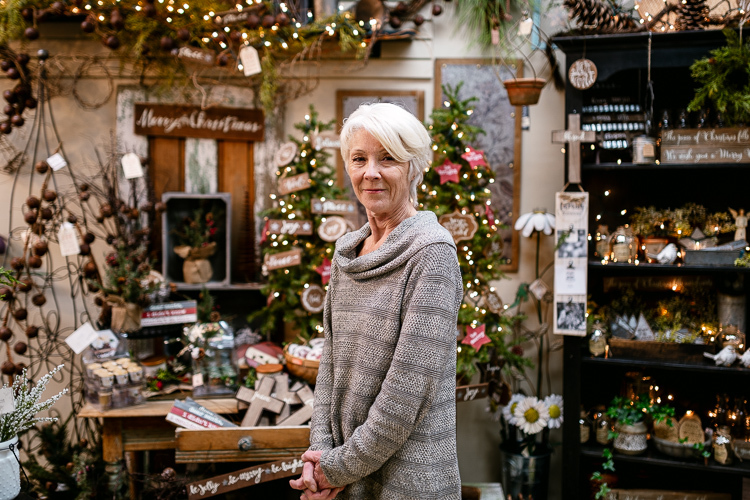 The Vines – an easy-to-spot small purple building on Grand River, right in the heart of downtown Farmington – is the place to go for centerpieces, floral arrangements, and rustic-style holiday decorations and gifts. Though originally located near 9 Mile and Orchard Lake, The Vines has been in its current location for 10 years now. 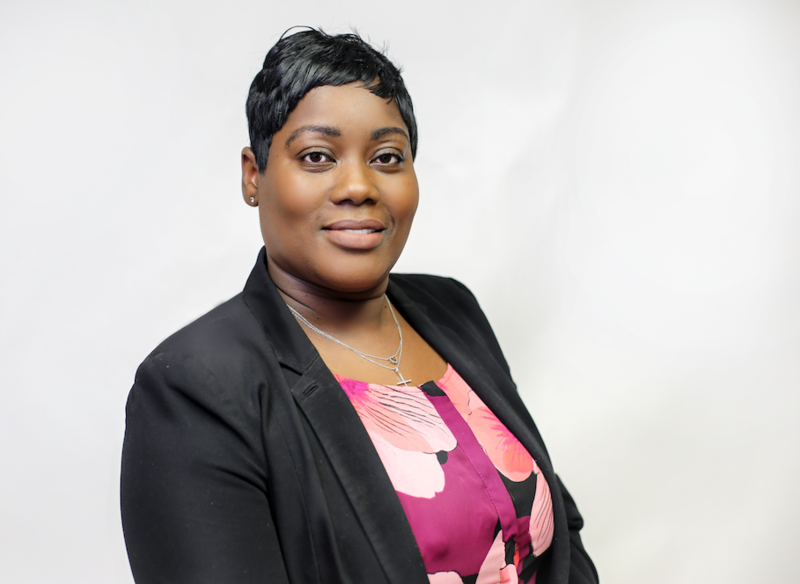 The Vines owner/manager Michele Hinds. Photo by Nick Hagen. According to PLUS Skateboarding’s founder and owner, Rob Woelkers, the store opened in Farmington in 2003 primarily because there wasn’t already an established skate shop in the area. But for its first 14 years in business, PLUS Skateboarding was, perhaps fittingly, located underground, in a space at the corner of Grand River and Farmington Rd. Though business inevitably slows during these less-skating-friendly months, customers come during the holiday season to get their kids starter boards, as well as more “skater lifestyle” items: shoes, hats, and shirts, including PLUS label items. Though Clothes Encounters owner/manager Larry Sallen originally got his start in men’s clothing, he decided, when opening his downtown Farmington store in 1987, to switch his focus to women’s wear. The decision has paid off, since Sallen is not only still in business all these years later, but also has built a core customer base who likes what he’s selling. Inside Clothes Encounters. Photo by Nick Hagen. For this reason, you’ll see items – which include accessories like jewelry and bags – from places like Italy and Israel. 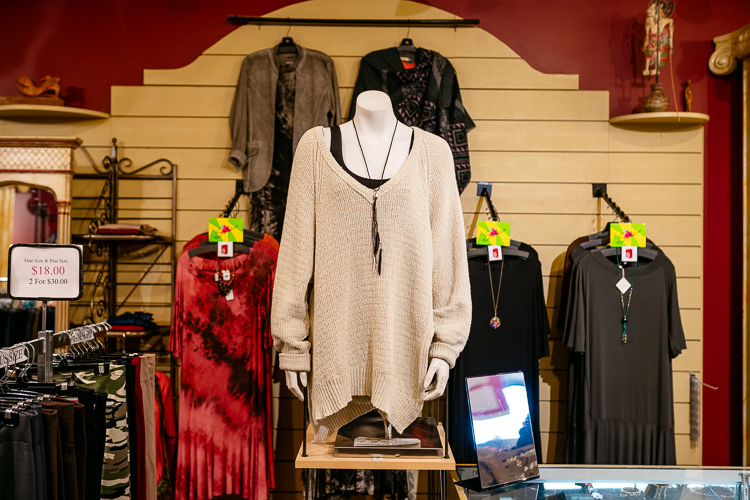 Tunics, leggings, and sweaters are big sellers at this time of year, and Sallen has been in business long enough to see generations within families become regular customers.